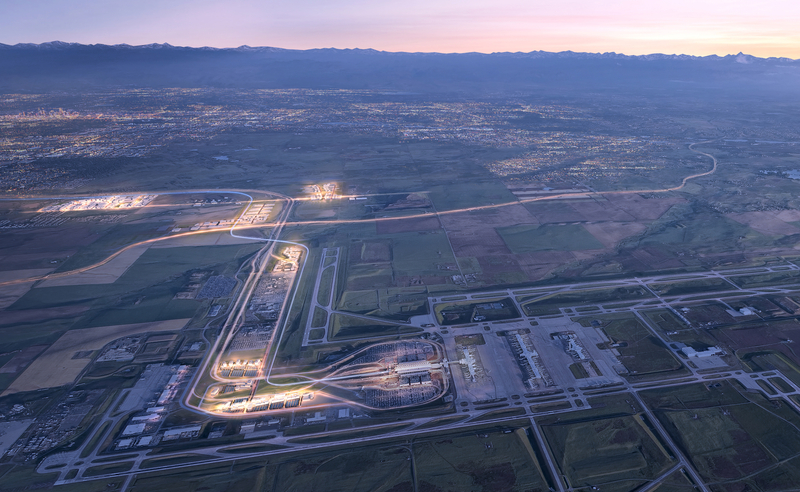 Denver’s Global Gateway is an expansive and visionary development surrounding Denver International Airport (DEN), one of the most iconic airports in the world. Encompassing approximately 16,000 acres, this is the largest commercial land opportunity connected to any airport in the United States. Denver’s Global Gateway is comprised of a series of commercial districts that appeal to various industry sectors and business categories. Retail, hospitality, restaurants, entertainment, professional services, technology, agribusiness, research & development, light industrial and advanced manufacturing can find an ideal home here. Collectively, the districts offer unrivaled opportunities with direct access to DEN and panoramic views of the Rocky Mountains. A NEW VISION FOR BUSINESS IN THE MODERN WEST.